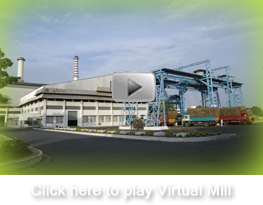 Indian Sugar Mills Association (ISMA) is a premier sugar organization in India. It is the interface between Government and sugar industry (both private and public sugar mills) in the country. The prime objective is to ensure that the functioning and interest of both the private and public sugar mills in the country are safeguarded through conducive and growth-oriented policies of the Government. ISMA is the oldest industrial Association in the country which was established in 1932. India entered the sugar export market for the first time in the year 1957 which was entirely on the initiative of ISMA. Since then ISMA has been at the forefront of sugar export in the country, spearheading export initiatives for the industry. ISMA is recognized by both the Central Government and State Governments as the apex sugar body in the country, to voice the concerns of the private sugar mills and the sugar industry as a whole. ISMA works very closely with a wide network of State sugar Associations (Affiliated Associations) to address concerns of sugar mills in respective States for effective resolution with the Central Government. ISMA is dedicated for the betterment of sugarcane farmers in the country, and one of the main objective of ISMA is to protect the interest of the cane farmers in the country, for whom sugarcane is the only source of livelihood. ISMA is engaged with the Government to develop long-term policies whereby the interest of its main stakeholders- farmers, millers and consumers are sustained and protected against the cyclical nature of the industry. ISMA has taken up a lot of initiatives to develop the country’s sugar industry. It’s the first in the country to do pan-India satellite mapping of sugarcane areas in the country. Through satellite mapping, cane acreage is estimated in the 14 cane growing State in the country. This helps in estimating the likely sugar production in a season, and in planning ahead more efficiently. ISMA maintains a database for the sugar industry which is shared with all the member factories, media and also with various Government organisations and international sugar organisations like International Sugar Organisation, Unica, WSRO etc. The Association also maintains a close network with several international industry Associations including International Sugar Organisation, World Sugar Research Organisation etc. ISMA publishes magazines and journals on Indian sugar dealing with the crushing operations, sugar statistics, Acts and Rules governing sugarcane and sugar in the country etc. The gamut of ISMA is not only restricted to its member factories or sugar industry only. It is joining hands for close cooperation with sugar consumers, sugar traders and other stakeholders, to come under a single platform to address issues facing each stakeholder and move along as a cohesive unit.